Could you be a good role model for parents who are struggling with their young children? Do you have a couple of hours a week to spare? * Training & Development. You will complete a thorough Volunteer Preparation Course which will ensure that you are fully equipped for the role before you get started. You will then have access to ongoing training which will provide you with skills which are transferable to future employment and everyday life. * Being part of a team. Our volunteers regularly talk about the value of having a peer group of like minded people. * Confidence. Seeing the impact that your help can have on other�s lives is incredibly rewarding and the �feel good factor� of giving something back should not be underestimated. - encouraging families to widen their network of relationships and to use effectively the support and services available within the community. There is no rule book to raising a family and sometimes it can seem overwhelming, particularly if your family is going through difficult times. But, if you can get the support you need when you need it, then day-to-day family life and your children's future, can be so much brighter. 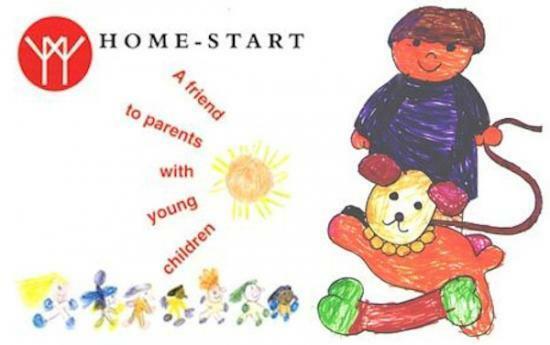 Home-Start volunteers visit families at home each week, supporting parents in situations as diverse as isolation, bereavement, multiple births, illness, disability or who are just finding parenting a struggle. They provide non-judgemental practical and emotional support and help build the family�s confidence and ability to cope. For more information, please speak to Rachel or Dorothy on 01955 609163, or leave a message and they will get back to you. Come on the next Volunteer Preparation Course. Wednesdays - 10am - 2.30pm May 22nd, 29th and June 5th, 12th, 19th, 26th. Can you spare a couple of hours a month to help change lives? The role of the Trustee. You may bring a particular expertise to the board, such as professional skills in finance, IT, business, personnel management or marketing and PR, but equally as important are listening and communication skills, commitment and common sense. Robert Smith has signed up for the Kilt Walk in Edinburgh on September 17th to raise money in aid of Home-Start Caithness. "I spent my childhood in Caithness and have decided to support their local branch of Home-Start. 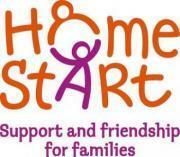 Could you volunteer for Home-Start Caithness? Could you volunteer for Home-Start Caithness? We are a family charity that works with young families who need a little extra support and friendship. We need both men and women who have parenting experience to join our team of dedicated volunteers and befriend a family that needs just that little extra support. The latest newsletter from HomeStart Caithness gives updates on what has been happening to the groups in the past few months. To read the news letter Click HERE. Home-Start Caithness is currently recruiting Home-Visiting volunteers to provide families with one-to-one support. If you are looking for a new challenge this year, why not invest two hours a week of your time and make a lasting difference to a local family. Trustees Week is running from 4th November to 10th Novermber 2013 to highlight the valuable contribition people who join the boards of charity groups make to their communities. Trustees and directors of the boards of thousands of local charities make it possible for charities to run legally. Home Start Caithness were presented with a Volunteer Friendly Award at a gathering in Thurso recently. Lord Lieutenant of Caithness, Anne Dunnet presented the award to Home-Start Caithness staff, Rachel & Dorothy and Linda who is one of the volunteers that visit families.. This short video teels you what Home Start Caithness does. HomeStart Caithness has been around for a few years and should not be confused with HomeAid another Caithness group doing entirely different things in the community.